Now offering "WASH and FOLD" services starting at $1/lb. 21 Washers and 17 Dryers plus vending machines and 2 Bill Changers. Laundromat is large and accommodating for everyone. FOR CAMPING, AND REALLY BIG LOADS! Within walking distance of The Pioneer Museum, restaurants & grocery stores. A little history of the Laundromat. Many people think our name is strange. My father in law, Vernon Buell, bought the Laundromat in 1979 from the original owner who also happened to own the Big Cheese Restaurant across the street(now The Rendevous Restaurant & Bar). The original owner named the laundromat the Little Cheese Coin Op to go along with his Big Cheese Restaurant. Ten years later Dad sold the Laundromat to his son, Mick and wife, Linda. They have never seen a reason to rename this little part of Tillamook history. Their four children have helped maintain and run the Laundromat for many years, and now the grandchildren love to come help clean and help collect some quarters whenever they can. The Little Cheese Coin-Op has always been open 24 hours a day to accommodate all of its customers. There are few places like Tillamook County where a business can stay open 24 hours a day, every day of the year, for over 43 years. 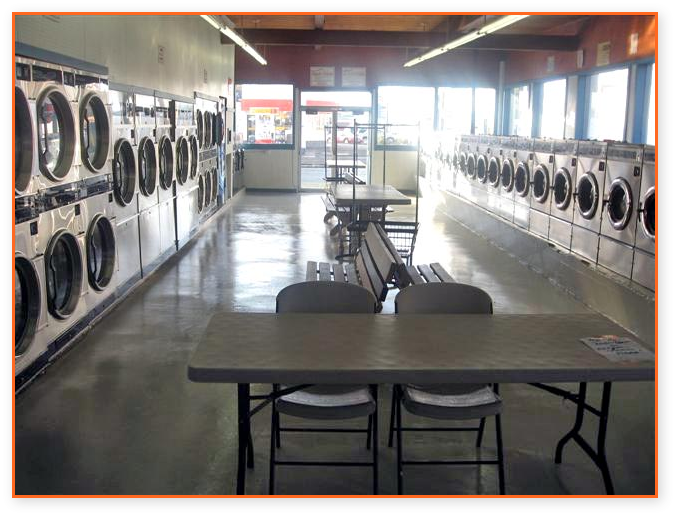 We are committed to providing a large, well maintained, clean Laundromat in downtown Tillamook for all of Tillamook County and for the many tourists that have used our facility over the years.